It’s Only Fair to say that Pokémon Go has become the best Game/App of all times. This has Happened in very short period of time. With this kind of popularity, also errors like Unfortunately, Pokémon Go Has Stopped working are gaining Popularity. Many of you will agree with me when I say Pokemon Go has taken the world by Storm. The Game has Grabbed Unexpected amount of traction from users worldwide. Though Pokémon Go is not available worldwide just yet. It is only available in selected countries like New Zealand, Australia, Germany and the US. In spite of this, The Craze for Pokémon Go is such that People around the world has access to the game by directly downloading APK files from various sources. With Tons of Users playing Pokémon Go at a time, Its obvious that the servers are overloaded. It Also means there can be Occasional Downtime and Errors/bugs too. Once Such Error that lots of Pokémon Go Users are facing is “Unfortunately, Pokémon Go has Stopped“. The Error Pops up Unexpectedly and then you can’t continue with the game further. This kind of errors are Common on Android Smartphones. It just does not happen with Pokémon Go but Also with other apps like Contacts, Message, etc. After Some Research we have jotted down many methods that will help you to fix “Unfortunately, Pokémon Go has Stopped” error. To make things even easy, we will take you through all the steps one by one. We will start with Basic Troubleshooting methods. In most cases, basic methods will fix the error for you. But if not, you can go ahead and perform Advance Method, which we have mentioned below. Remember to carry out the steps in correct order. 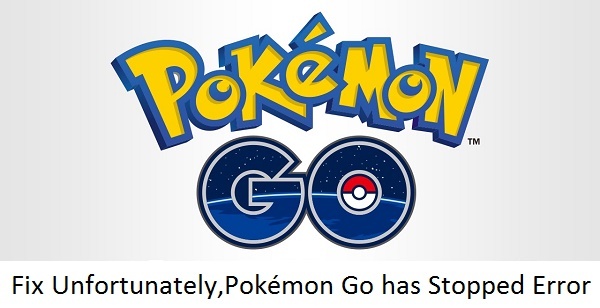 Go Step by Step and you will see to it that there is no more Unfortunately, Pokémon Go Has Stopped error popping up on your phone while playing. Basic Methods to fix Unfortunately, Pokémon Go Has Stopped. Method 1: Restart Your Phone. It is a very simple thing that we fail to do. Rebooting or Turning your phone on and off is required at least once in 2 days Restarting your Phone looks to be not such an effective solution but actually it makes a lot of difference in the case of Performance and Application Issues. So go Ahead and Switch your phone off and then turn it On Again. Once it is ready to use, Open Pokémon Go and Start Playing. You should not See Unfortunately Pokémon Go has stopped working error message. But if you do, then check method #2. Method 2: Clear Pokémon Go Cache and Data. Like Browsers, your phone saves Cache of your applications to make it faster. Cache makes your app faster but many times you need to clear them. You will Continue getting Unfortunately Pokemon go has stopped error again and again, no matter how many times you close and open the app. 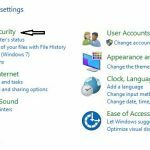 To fix this, you need to clear cache and data by just following below steps. Step 3: Now you will see list apps on your smartphone, Search for Pokémon go and tap on it. Step 4: Tap on Clear Cache and Clear Data. Step 5: That is it, Now restart your phone if you want. By now you have cleared Cache and Data of Pokémon go app. Now next thing you will do is open the game again and see if you still get Unfortunately, Pokemon go has stopped error. Method 3: Reinstall Pokémon Go. If above methods don’t work to fix the issue, you next step should be Completely Uninstall the game. Then Reinstall it again. Your Data will not be lost if you uninstall the game because all your data is saved on servers. Long Press Pokemon Go icon on your screen. Drag it towards Uninstall on top. Tap Yes if prompted for Confirmation. Your Game will be Uninstalled. You can even Uninstall it by going to Settings > Apps/Apps Manager > Pokemon Go > Uninstall. Now Reinstall again by first downloading it from Google Play store. It is no Brainer you already know how to do it right? When everything is done, Start Playing your favorite game without the irritating Unfortunately, Pokémon Go has stopped working error. Method 4: Update Pokémon Go. Pokémon go was launched since not so long, but there are already updates available. If you have not downloaded the updates and if your game is not upto date, then there are every chance you will keep getting this error. To Download the update, simply open Play Store, Search Pokémon go and if there is an update available then, you should see “Update” otherwise “Open“. This way you can make sure if your app is up to date or not. These 4 Methods Comes under Basic ways to fix Unfortunately Pokémon go has stopped error but you must not worry if all of the above methods fails to fix the issue for you. Because we have found that not all methods are going to work for everyone but trying them is worth it. We still have 1 method left in Advance ways to fix this error. Go Ahead and perform steps mentioned below. Advanced Method to fix Unfortunately, Pokémon Go Has Stopped. Method 5: Uncheck Don’t keep Activities. You are Required to Activate Developer option on your Smartphone to actually Uncheck “Don’t Keep Activities” option. To Activate Developer option follow below steps. Tap on Build number for approx 7 times. You must see a “You are now a developer!” just like below Picture. That is it; Developer option is now activated. Tap on it and scroll down to find “Don’t Keep Activities” and Uncheck the box next to it. Open Pokemon Go now and start playing without any disturbance. This should be your ultimate resort to the error. In most cases doing the steps above should fix the error message for you. How to hide Developer Option? After Fixing Unfortunately, Pokémon Go Has Stopped error, no Doubt you might want to Hide Developer option again. So, Go to Settings > Apps/Application manager and find Settings app. Tap on it and clear data. This will hide Developer option from your phone. Now go ahead and enjoy Pokemon go and don’t forget to Catch’ em all. #2. Worked for me thanks. I tried all methods and they didn’t work for me. I’m using a Samsung Galaxy S6, please offer other solutions,thank you. It didn’t work for me. on phoenix os, android based system. I tried all of these methods, but still have the issue. I have a Samsung Galaxy S3, with Android Version 4.4.2. I was unable to download the game through Google Play as it said that it is “Not compatible with my device.” So in order to get the app, I had to download it as an APK. Wasn’t sure if that may be the reason why? If it says Not Compatible in Play store then it is very much the Truth. The Game might not work on Android Version 4.4.2. Can someone help me? I’m using a wiko pulp fab. Hi IVI4NOPT, Which version of Android are you having on your smartphone? The fifth method (don’t keep activities) worked for me. Thanks! You are Welcome AUSTIN DORAN. I am glad that this post was able to help you fix the Problem. IT didn’t work to me! Hello JERIPERMANRIBAO, Please confirm that you have Performed all the steps mentioned above. Specially the Advanced Method because that seems to be working in most cases. Also Let me know more about your Device and Version you are using. You are Welcome Kowshik, Thank you for letting us know that the post helped you to fix the issue.